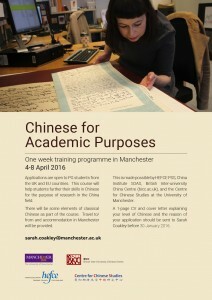 BICC Manchester is pleased to announce that there will be an opportunity for PG students in the China field to take part in a one week Chinese for Academic Purposes course in Manchester April 2016. 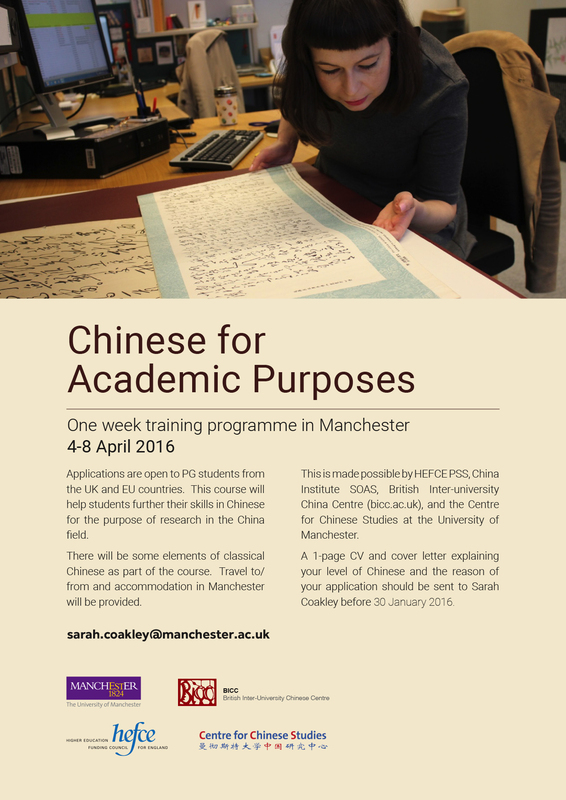 The course aims to further practical applications of Chinese language in academic work and is open to students who have a good level of Chinese, or who work in the China field. The funding has been made available thanks to SOAS and its application for HEFCE funding, in partnership with Manchester University. 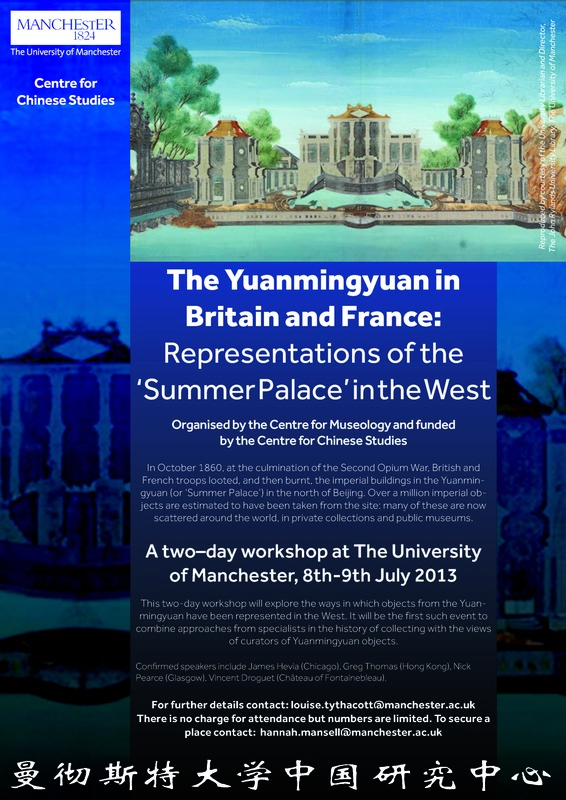 Due to the funder’s requirements, the course is open to UK/EU students. The bursary covers travel and accommodation and the course itself is free of charge to all PG students who fit the criteria. PG students who are interested or who would like further information should apply to sarah.coakley@manchester.ac.uk and request a leaflet to be sent electronically with the details and application prodecure. The deadline is the 30th January 2016. ‘For China and the World’ explores the largely forgotten history of Britain in China from the 1850s to the early 1900s through the life of Irishman Sir Robert Hart. Hart was the inspector general of China’s Imperial Maritime Customs from 1863 to 1911. An employee of China’s ruling Qing dynasty, he played a crucial role in the economic development of the country and in its interaction with foreign powers. Filmed in Shanghai and Northern Ireland, the film outlines the personal and political conflicts that motivated one of the most important foreign figures in Chinese history, as well as his legacy today. What was it like to be an American in Shanghai in the 1920s? ‘Uncle Chuck: The Shanghailander’ examines the life-style of an American businessman who went to Shanghai in 1924, and left just ahead of the Red Army in 1949. It chronicles Chuck’s journey from small-town America to cosmopolitan Shanghai, and shows how he pursued the American Dream in inter-war China. 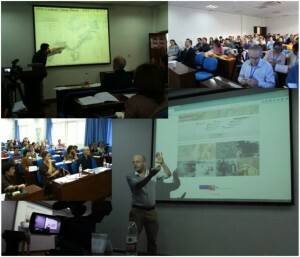 The film puts the details of his family history in the context of global imperial history, when Shanghai was controlled by Europeans, Americans and Japanese. Little is known about life in the British Chinese community, which remains invisible to the public eye. Daniel (age 11) and Kevin (age 13) are Chinese boys born in England, and this film explores how they fuse their Britishness with a strong sense of Chinese identity. We look at the boys’ experiences at school and how they relate to people in their neighbourhoods, how they formulate their belonging and to what extent they feel they are stigmatised for being different. This is a ‘coming of age’ story, not just of two boys but of a community. 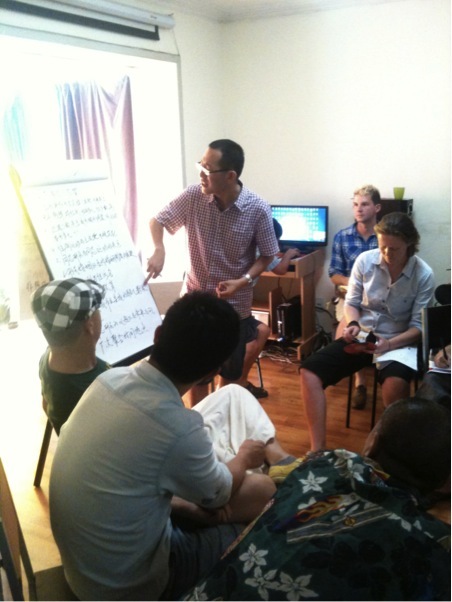 What can we expect from the next generation of British born Chinese? 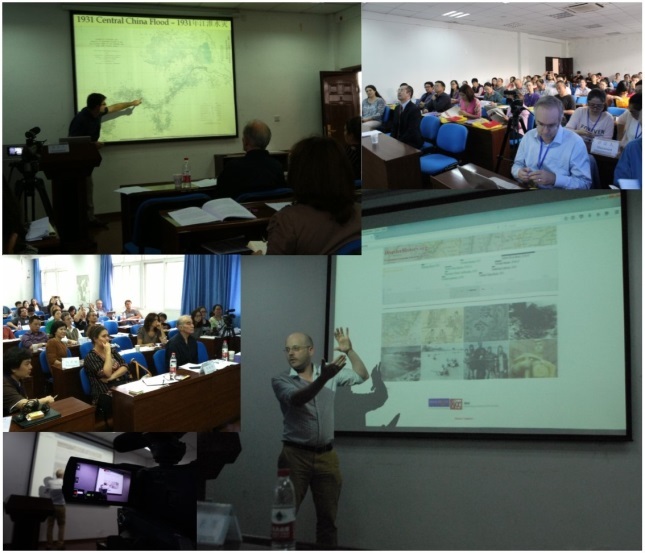 BICC researchers including Dr Nicola Horsburgh are involved in the ‘Juxtapose’ workshop at Wolfson College Oxford on 26 April, address ‘challenges of comparative research on contemporary China and India’. 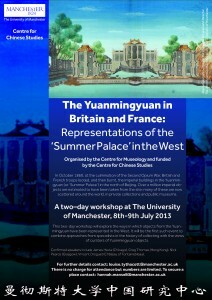 For details of the programme see here. For more details of the initiative see the Juxtapose blog.